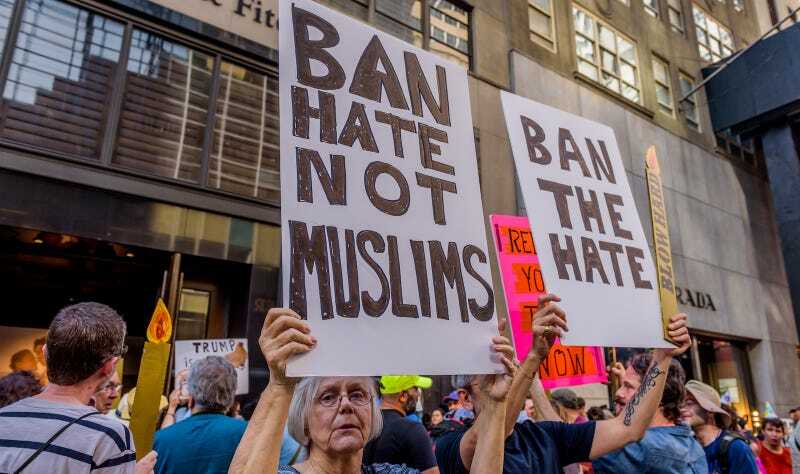 Days after the Supreme Court restored parts of the Muslim ban, the Trump administration has placed additional restrictions on visa applicants from six Muslim-majority countries. Applicants requesting entry to America must prove that they have either a “parent, spouse, child, adult son or daughter, son-in-law, daughter-in-law or sibling” in the country. The restriction is the latest indignity to Muslim families in America, who continue to live in limbo as their families are torn apart. In one example, Al Jazeera reports that Syrian-American woman Rama Issa has had to postpone her wedding in America because the ban blocks many of her relatives from attending. “This administration is redefining what family is,” she said. Foreign Language Oscar Nominees Condemn &apos;Climate of Fanaticism&apos; in the U.S.